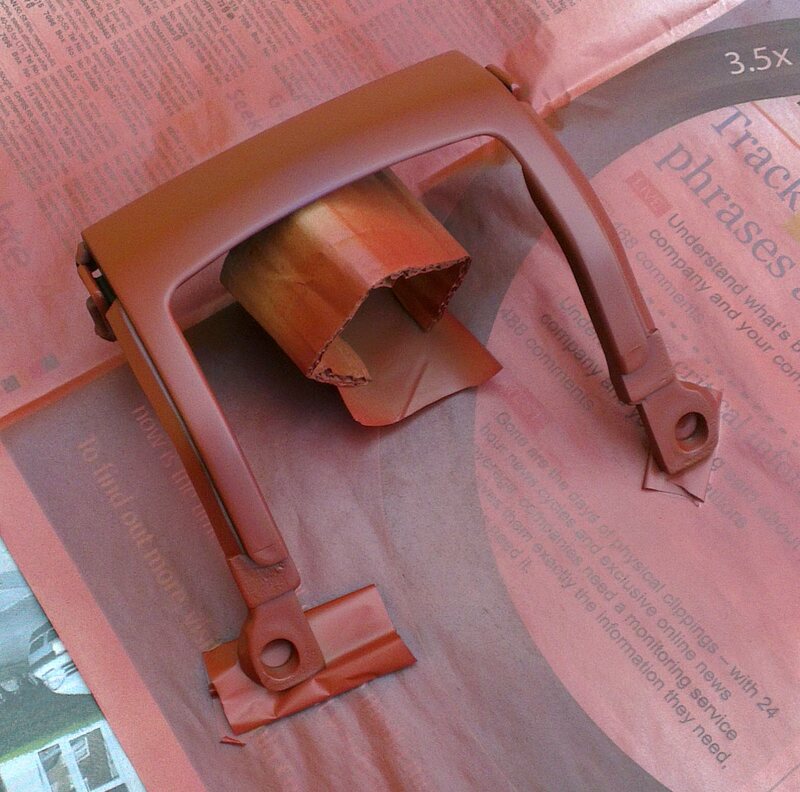 At the weekend I started my first attempt at spray painting. Mary’s ZZR400 was missing a small piece of the tail fairing. We managed to source this off ebay cheap, however the part was the wrong colour. So how hard can it be to spray paint it the right colour? I started by giving the item a really good sand down with some 800 grit wet/dry paper, washed and dried it. I then sprayed it with primer (pictured). Slowly building it up coat after coat, with about 10-15 minutes between them. After leaving 24 hours, I then sanded it gently with some 1200 grit wet/dry paper, washed dried it, then set it up for spraying the top coat. Working in a similar fashion, building up the coats. Things were progressing well until the piece fell off my cardboard stand and got a pile of newspaper stuck to it! Doh!